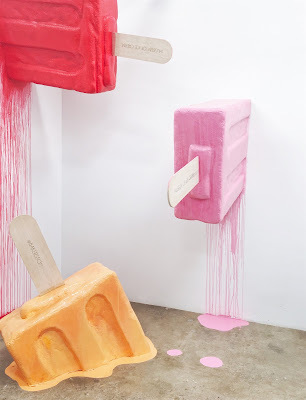 The Museum of Ice Cream first popped up in New York last year. 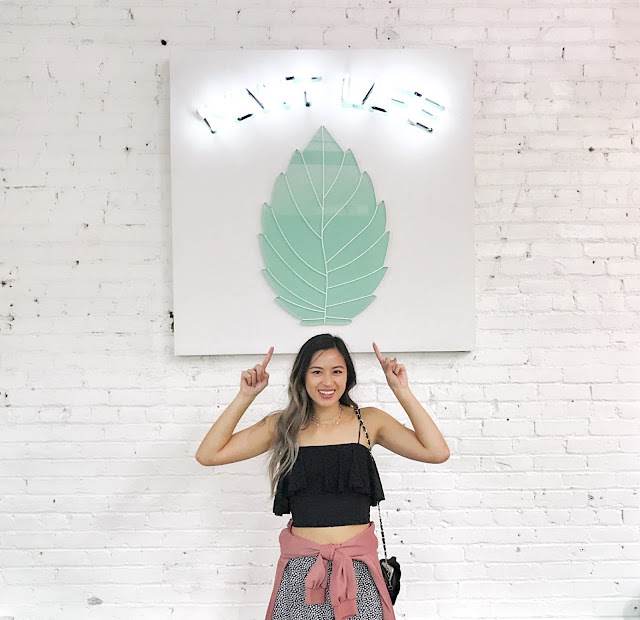 When I saw the photos from the event, I knew I needed to check it out when it came to Los Angeles. 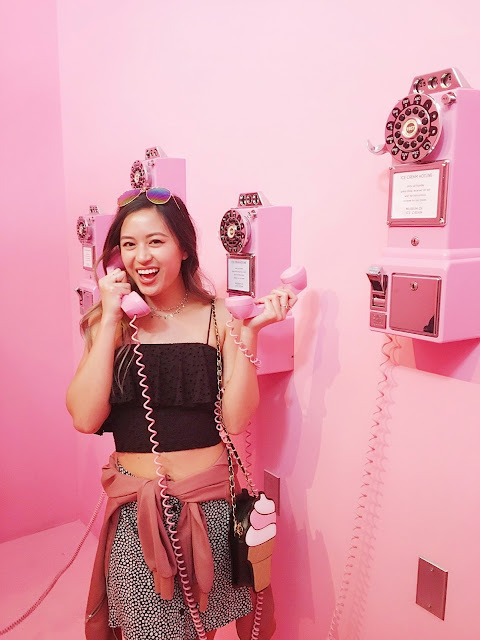 The pop-up interactive museum event is located in the LA Arts District and is the hottest ticket in town. It's sold out until August currently, but maybe if you sign up for the newsletter, you'll be notified if they release additional tickets. Getting these tickets were like buying tickets for Coachella, there was a virtual waiting room and everything the day tickets were released. You had a time limit to pick your tickets once you were let in, and those who took too long missed out on scoring the times they wanted. Luckily, I was able to get in and get the tickets to visit this Instagram-worthy place. Keep reading to see all the photos and details from my event. As you drive up to the location, you cannot miss the building in the Arts District that is fully coated in millennial pink paint. There is a line of people waiting for their turn outside. The line wasn't too bad as we showed up at 12:15 pm for our 12:30 pm timeslot on a Saturday. Across from the line, there's a little courtyard area where there are games to pass the time and even someone handing out Soylent. How Soylent and ice cream are related beats me, but I grab one to try anyway since I've always been curious. You are put into small groups to start your walk through the museum together. It's interactive so there's things you can touch and even small tastings in each room. Not all the tastings are amazing by the way, but they do somewhat fit the different themed rooms. Do kids even know what these are nowadays? This experience is a one-way walk through, so once you move from room to room, you can't go back. 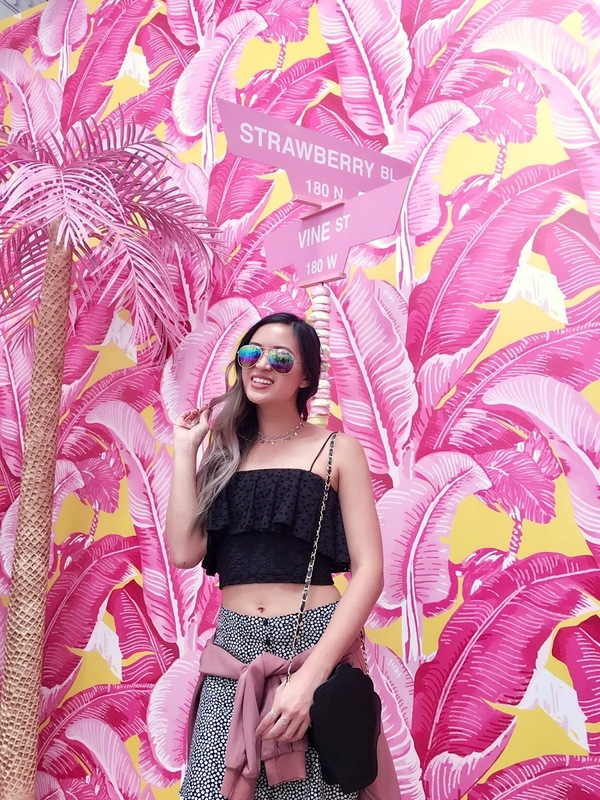 Do it for the gram and stay in each room as long as you need to to get those perfect photos. 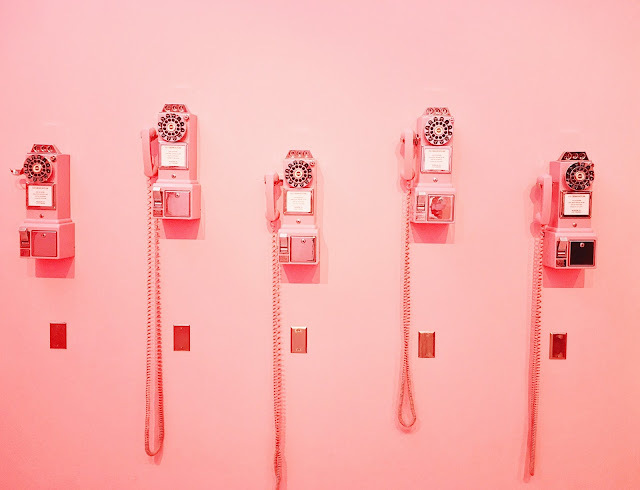 All the rooms were seriously cuteness overload and total unicorn vibes. The banana room installation was probably one of my favorite rooms of the overall exhibit. 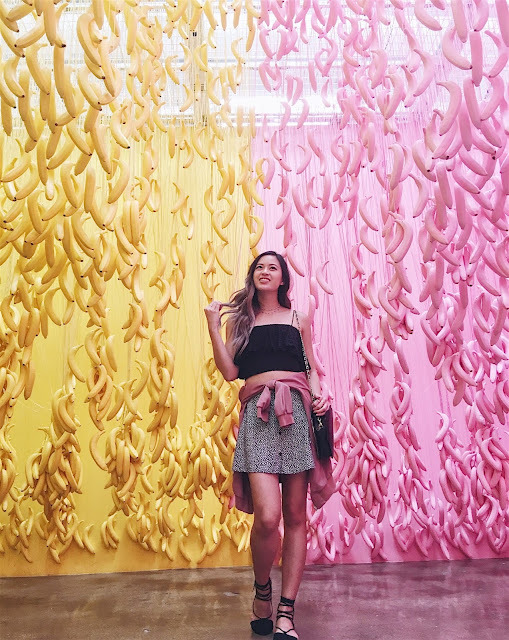 I love the whole aesthetic of these painted bananas and all the pink and yellow just made me happy. Make sure you take a turn on the swings with your "Instagram husband"
Welcome to the Mint Chocolate Chip Room. The live mint really gave the room an amazing smell. Plus they gave us the best mint chocolate chip mochi ice creams! So Yummy! 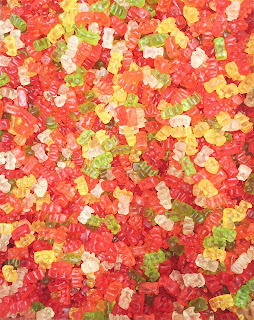 Give me all the Gummy Bears! 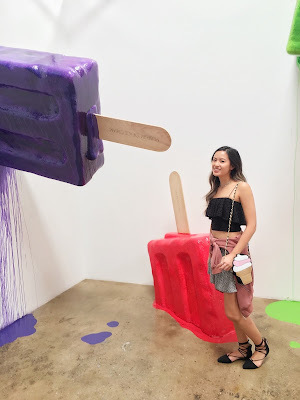 Giant Popsicles? Yes, please! I want these installed into my living room. 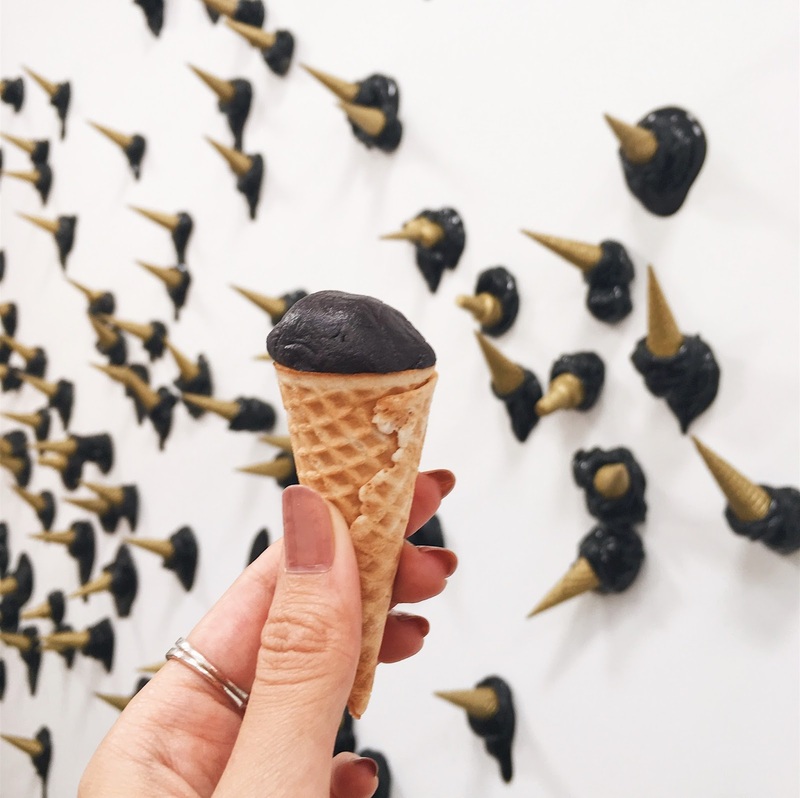 Charcoal Cookie Dough Mini cones - I was warned not to eat these - as they turn your teeth black. Not cute for what's coming next in the final room! The final room! This is where you will find a giant pool of sprinkles that you can swim around in and take photos. Your time in the sprinkle pool is timed and you share it with other people. Take your claim to an area and get the photos you need! They make you take your shoes off, so keep that in mind with what kind of footwear you're going to wear that day. 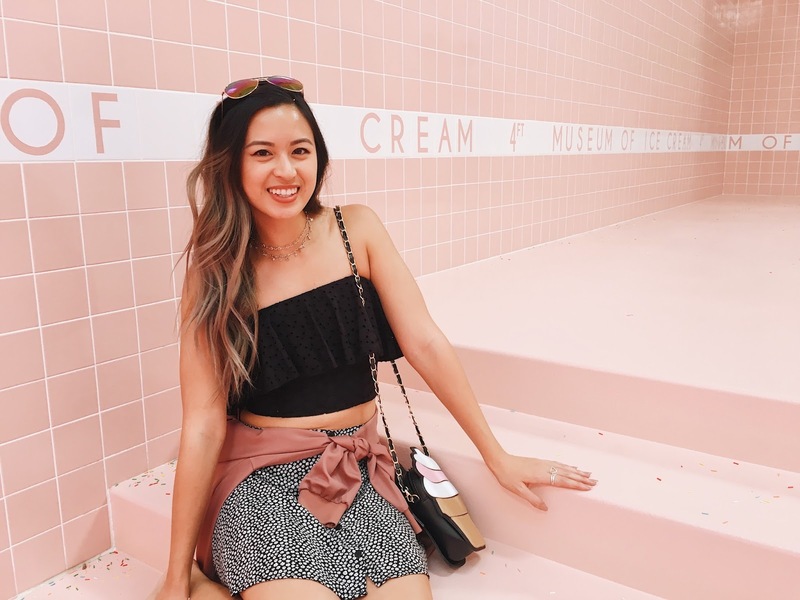 On their site: "Museum of Ice Cream designed close to one hundred million sprinkles out of antimicrobial plastics to fill our signature sprinkle pool. The museum also cleans the sprinkles daily" so there you have it, it's not as gross and you think it could be. 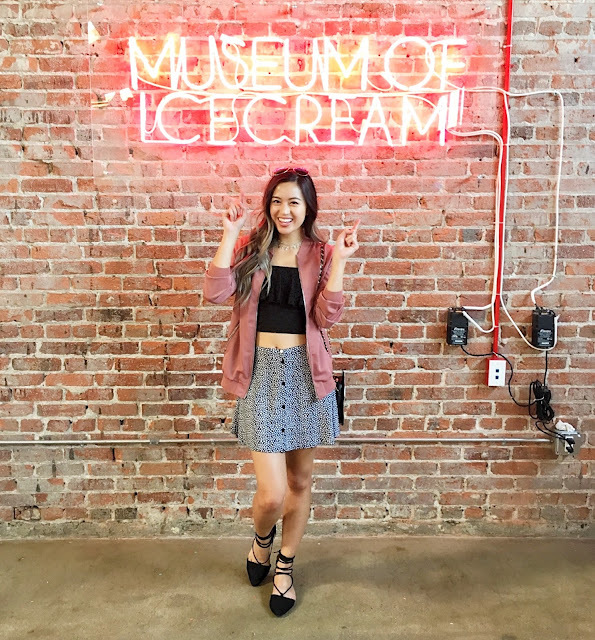 Overall, I loved the Ice Cream Museum. It was a fun experience with lots of photo ops. This is more an activity to do with your girlfriends or people who love to take photos in general. I've heard previously of it being pretty crowded and long lines to get in, but my experience was smooth. Maybe they have worked out all the kinks now. This is so much fun! 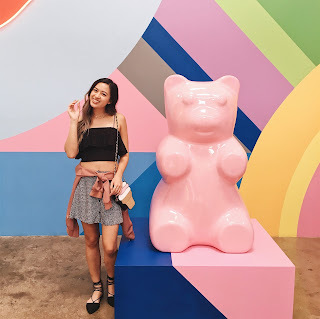 SUch a fun place to take photos too! I'm going in August and can't even wait!!!! What a fun place to take photos! Can't wait to visit there myself! This looks SO fun!!! I must visit this place!!!! This looks like so much fun! Such a neat place to visit! So fun! 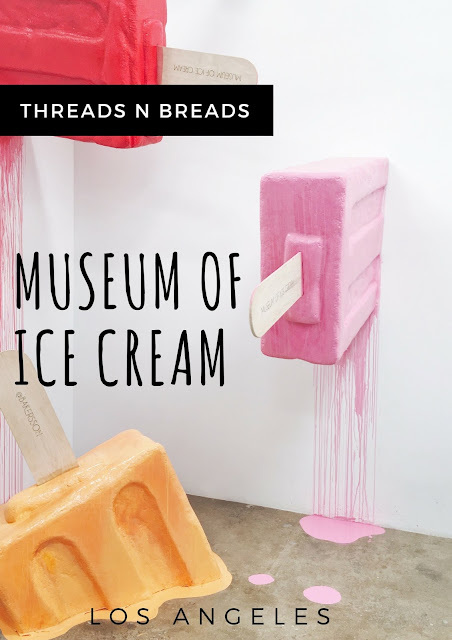 I've heard so many great things about the Museum of Ice Cream, if only I lived closer. I love all of your photos! This looks like so much fun and a fab place to visit! I would love to go there! Who doesn't love ice cream? i went to this in NY and it was amazing as well! Omg how fun! I wish I was close enough to go there! What! That is the coolest place ever. Looks so fun! This is amazing!!! ESPECIALLY the sprinkles pool!!! This looks like so much fun! Totally instagram-worthy, too! I kept seeing this place pop up all over Instagram! It looks like it was so much fun. I'm so jealous I live on the opposite coast because I would've been there in a heartbeat! Looks like you had an amazing time! I am so sad I missed it in NYC. Omg now this is my kind of museum!! Love all of these photos!! I've been seeing so much about this place, I NEED to go!! It looks sooo amazing! Wow! 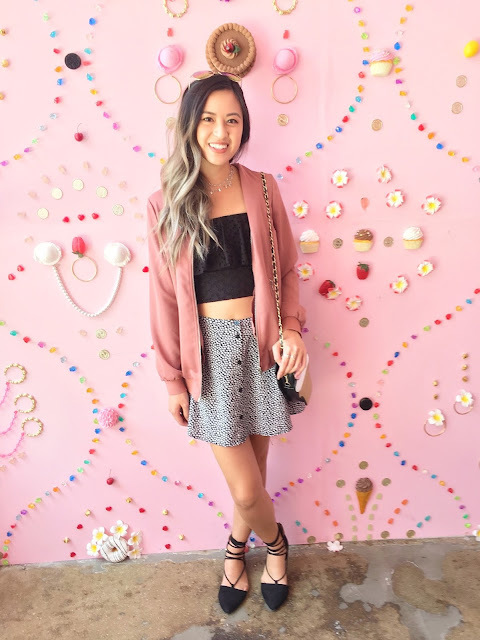 Dying to go there and love your look! Oh my goodness!!! how fun!! Every picture is so cute!! What a unique place to visit!! Need to go!! How fun is this!!!! What a marvelous museum. This place is awesome! Talk about a great place to photoshoot! love your pics! oh my gosh!!!!!! 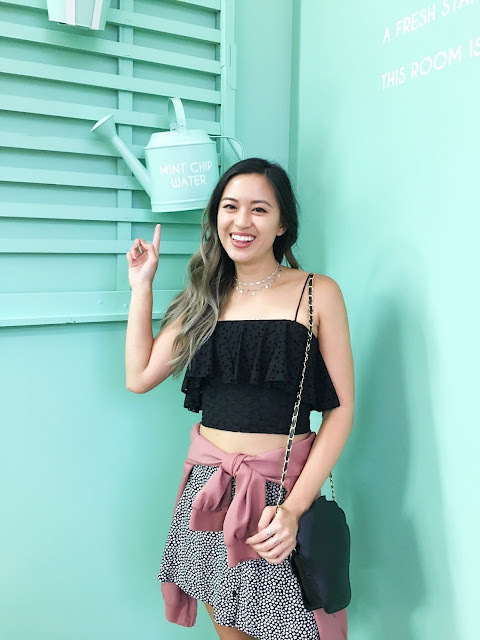 this place is amazing and a blogger (+ice cream lover) 's dream!!! so fun! I just bought tickets I cant wait to go!